By Hongkiat Lim in Hosting. Updated on July 26, 2016 . Whenever changes are made to DNS or Domain Name Server records, DNS propagation kicks in. This could take several hours, or even days to complete, and during this time your DNS IP will fluctuate. Your visitors may end up at your new website or the old website. If you want to check the current state of your DNS records during DNS propagation, we have a list of seven useful online tools you can use to do this. The tools are free and pretty straightforward to use. I hope you find them useful. 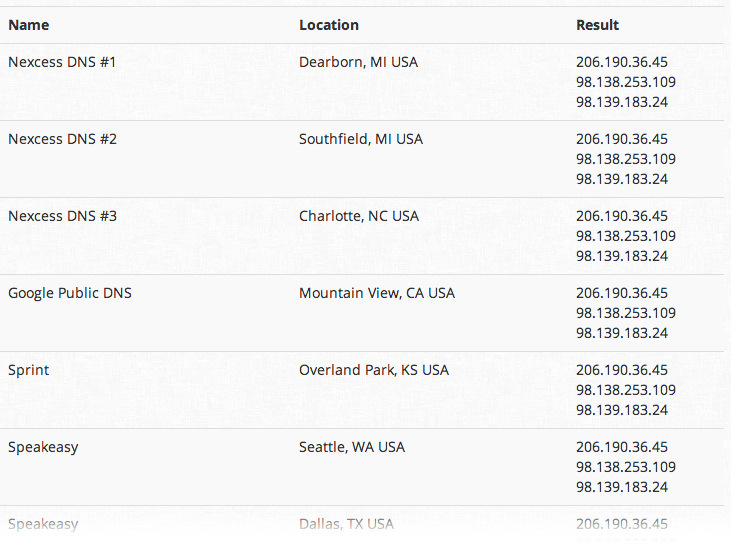 This tool has 4 great features, including being able to ping your DNS from 90 locations. 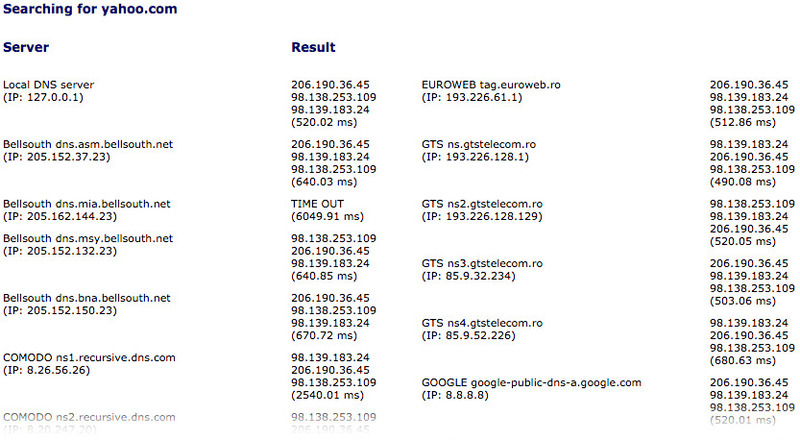 You can also check the health of your website, analyse DNS and check the traceroute of your IP. 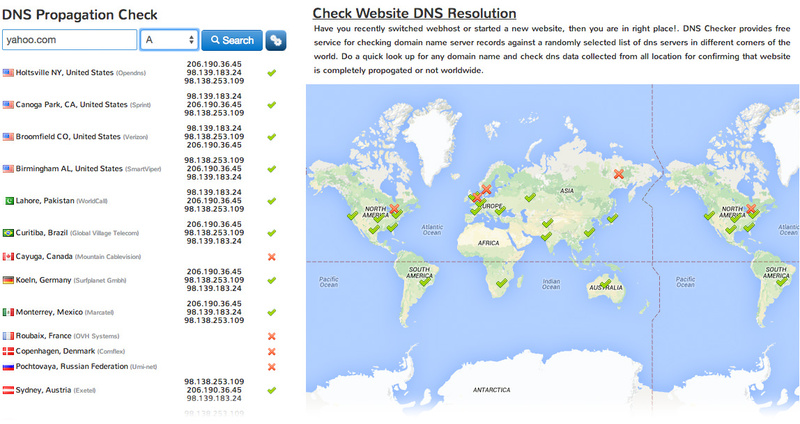 Run a DNS propagation check from 22 locations worldwide. 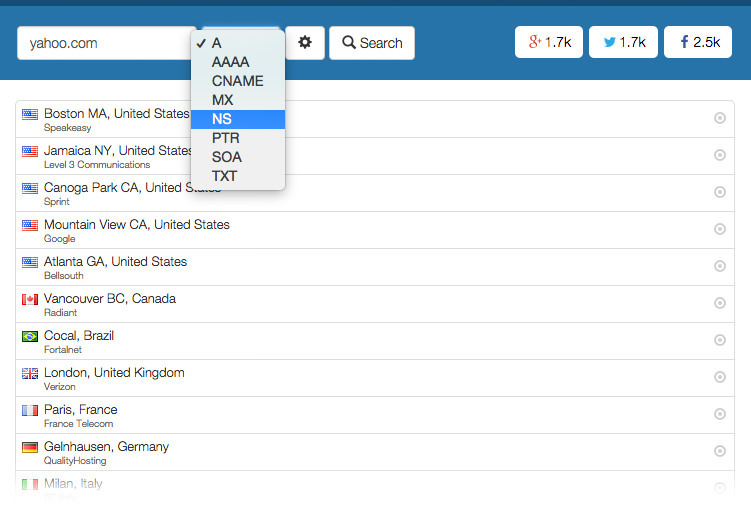 Record types supported by this tool include A, AAAA, CNAME, MX, NS, PTR, SOA and TXT. Here is another tool that checks from from 17 locations. Record type supported include: A, MX, NS, SPF, TXT. The site also provides other free email and website tools as well as testing services. ViewDNS.info checks DNS propagation from 20 locations. It also carries various useful tools such as IP location finder, IP traceroute, MAC address lookup and more. Here’s one that does DNS checks from 22 locations and you can check the following record types: A, AAAA, CNAME, NS, MX, TXT, SOA. Check DNS propagation from 21 locations. Record type supported includes: A, AAAA, CNAME, MX, NS, PTR, SOA, TXT. This tool supports DNS propagation checks from more than 50 locations, allows users to customize location checking, and provides detail information including DNS resolve time, connecting time, first and last byte and more.